Yes, pumpkin season! For all you pumpkin lovers out there, I collected my five favorite pumpkin recipes. Try the pumpkies, especially. 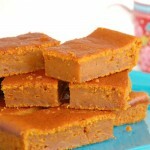 They’re the pumpkin version of brownies! So I haven’t had a lot of time for baking lately. I’ve been hanging out and playing with my Baby Boy, taking Lucy for long walks because she was convinced she was pregnant and I had to keep her from nesting in the laundry basket, photographing Nutella frosting for my soon-to-be-finished ecookbook, returning lost library books, and vacuuming. God, I’ve been doing a lot of vacuuming lately! I’ve also been dreaming about chocolate cupcakes with said Nutella frosting, a salted peanut and caramel cake, and mini high-hat cupcakes. And everything pumpkin! So no recipe today. 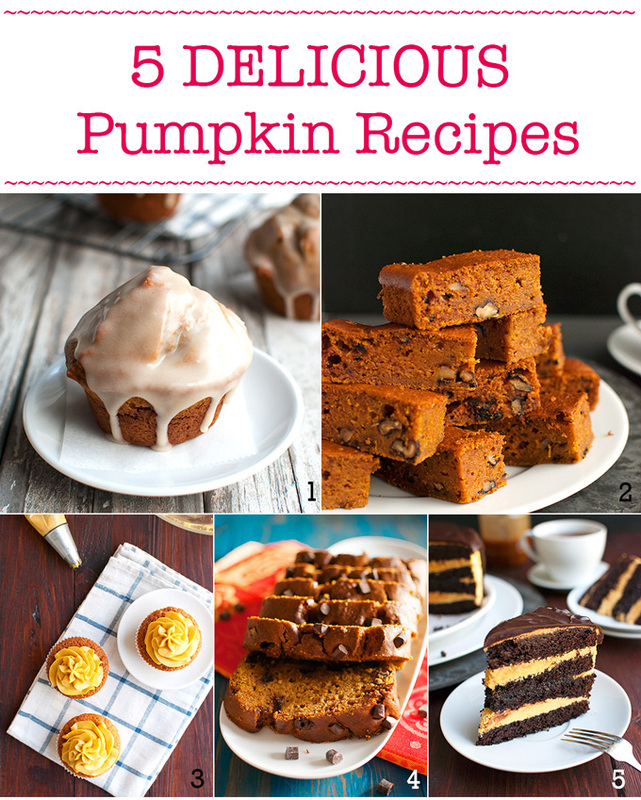 Just a round-up of my five favorite pumpkin recipes. You know, in case you DO have time to spend in the kitchen without a cute little 11-month-old clinging to your legs. Baby Boy is walking, btw! ← I’m SO proud ???? These muffins are huge, orange and perfectly pumpkiny. And glazed with a buttery maple glaze, which is the best thing if you ask me. They’re made with whole wheat flour, which makes them a bit more filling for breakfast than regular muffins, while the glaze on top still really gives you that I’m-totally-eating-dessert-for-breakfast feeling. The muffins keep for about five days, but the maple glaze is definitely best fresh! Sticky, sweet, and messy! Pumpkies. Do you get it? Like brownies, but with pumpkin? Because, yes, these babies are kind of like brownies, but with pumpkin. They’re fudgy, see. Just like a good brownie. More, importantly, they are SO good! 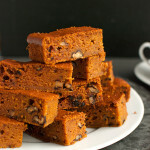 Spicy, pumpkiny and moist, with a nice crunch from the toasted walnuts. Better yet, they are super easy to make. You can actually whip the batter up in about 10 minutes. Oh, and do yourself a favor and make a double batch, because these things are dangerously good! Anyway, the first thing I did was thicken homemade pumpkin puree with spices and butter in a saucepan on the stove to get rid of some of the moisture. Buttercream HATES excessive amounts of moisture. After I allowed the spiced puree to cool, I added it to a batch of Italian buttercream. The result was delicious! 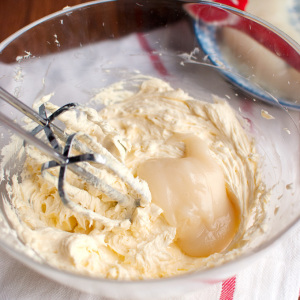 This buttercream is smooth, spicy and subtly sweet. Dark chocolate cupcakes, this pumpkin buttercream, a chocolate drizzle or some scary Halloween chocolate decoration, and you’ve got yourself the perfect Halloween cupcake! Keeping the chocolate/pumpkin combo coming. Because it works! I love this chocolate chip pumpkin bread. It got me through some tough days of thesis writing back in the day. It’s moist, pumpkiny, spicy, and studded with chocolate chips. Everything you could ever hope for in a pumpkin bread, really. No wait, throw in a handful of chopped nuts and THEN it has everything you could ever hope for in a pumpkin bread. This cake was a HIT! My whole family loved it. 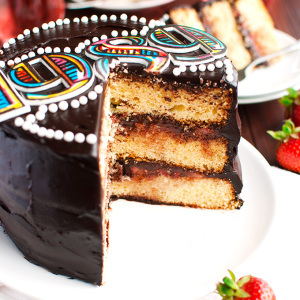 Four layers of moist, dense dark chocolate cake, filled and frosted with that deliciously spicy pumpkin buttercream and a salted caramel sauce, and topped with dark chocolate ganache. Yum! 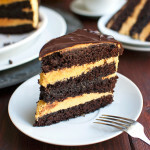 The only thing I’d do differently if I were to make it again, is assemble it more like my Salted Caramel Pretzel Cake: instead of pouring the caramel directly onto the third cake layer, I’d frost the layer of cake with pumpkin buttercream first and make a pool for the salted caramel sauce. That way, the caramel won’t seep into the cake and instead will drip out once you cut into it. Yum, yum, YUM! But that’s it, guys! Oh wait, one last tip: Milka Peanut Caramel candy bars are REALLY good, too! 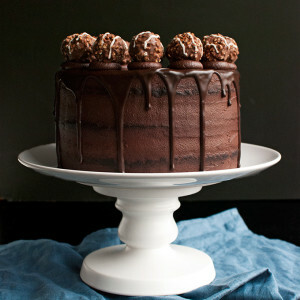 It’s what inspired my daydreams about salted peanut caramel cake. Talk soon!